Rooted in tradition, Old Orchard Beach has been a sought-after travel destination for more than 250 years. In addition to our beloved seven-mile stretch of glistening beach, visitors are still delighted and thrilled by Old Orchard’s oceanfront amusement park, which first opened in the early 1900s and is the only one of its kind in all of New England. Some of the same attractions that brought visitors to Old Orchard long ago continue to attract eager new travelers to our vibrant beach community today. Visitors also enjoy spending time at the pier, dining at restaurants boasting “the best” seafood dinners in Maine, and easy access to in-town shopping, refreshment stands, and candy shops. Many come for the weekly firework displays, concerts in Memorial Park and at the Pavilion, or to take a relaxing ride on the Amtrak Downeaster or local trolley. 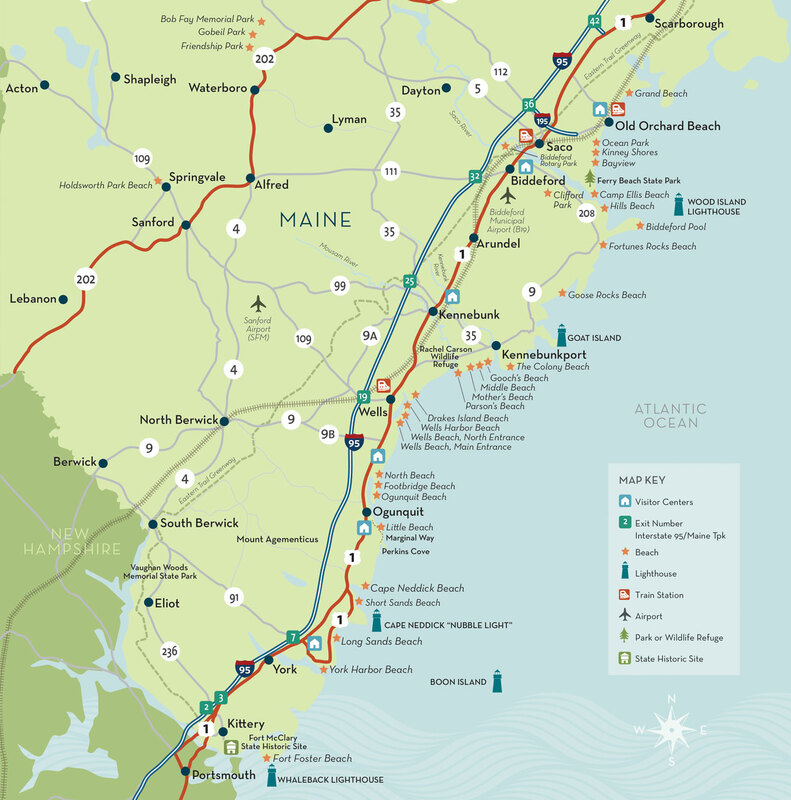 There are a plethora of other fantastic reasons to pack your bags, make your lodging or camping reservations, and plug our lively seacoast town into your GPS or smartphone as a vacation destination. Surfing, biking the Eastern Trail, golf, deep-sea fishing, taking in an exciting baseball game at The Ballpark, or taking part in the virtually endless list of annual events should all be included in your travel plans. For many who make the trip here, it is all about the beach, all seven miles of it. Some consider Old Orchard Beach to be the ideal summertime destination to relax and unwind. Many appreciate the white sand and the tumbling ocean surf, brightly colored umbrellas, sandcastles that line the shore, or simply the opportunity to capture our views at sunrise and sunset. With the iconic 500-foot pier in the center of it all, what more could vacationers ask from a beachfront destination? If you are a visitor who has made an Old Orchard Beach vacation part of your family tradition, we are pleased to welcome you back and hope that you enjoy your stay! If you are considering exploring our area for the first time, you will soon find out why we are known as Maine’s Premier Family Beach Resort. For more information or to plan your next Old Orchard Beach getaway, contact the Old Orchard Beach Chamber of Commerce at (207) 934-2500 or visit us at OldOrchardBeachMaine.com.